The SM-3 is a multipurpose rig that suits a wide range of civil engineering work requirements. The rig is fitted with one of the most powerful engines of its machine category. The feed-hoist system is very efficient and is powered by a gear motor. A large range of high performance rotaries are available. Due to these features, the SM-3 is a multipurpose rig that suits a wide range of civil engineering work requirements. High standard components and advanced hydraulic circuit design have enabled increased rig performance, preserving its reliability, even under extreme conditions. Its smart and compact design allows fast rig assembly and ease of transport (even in a container) with minimum operating costs. The hydraulic control board, as well as remote control board, are designed for ease of operation ensuring driver comfort. 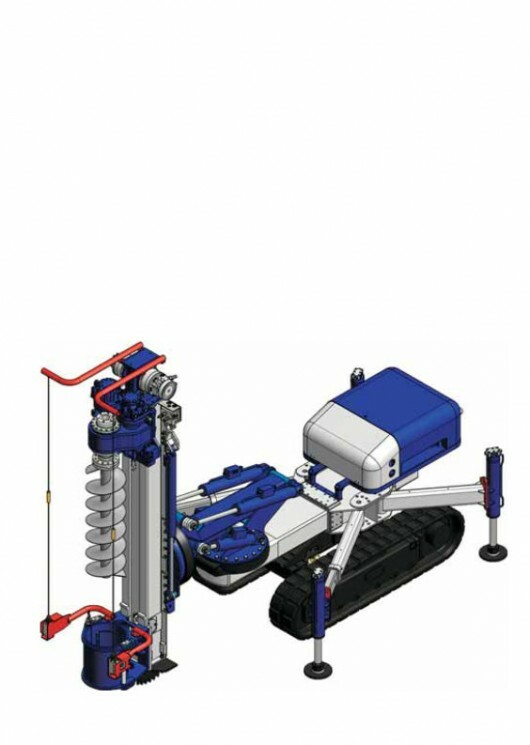 The Soilmec advantage is a real multi-purpose machine designed to offer the best drilling solution with a long life expectancy whilst retaining a high residual value. The SM-3 is a compact, powerful and technically advanced with innovative design to allow work to be completed effectively, in safe conditions and with high productivity. We send out out an occasional Soilmec eNewsletter containing drilling industry information, drilling news plus availability of new and used machinery. To view & download the PDF with full specs we ask you join our mailing list – you can unsubscribe at anytime.